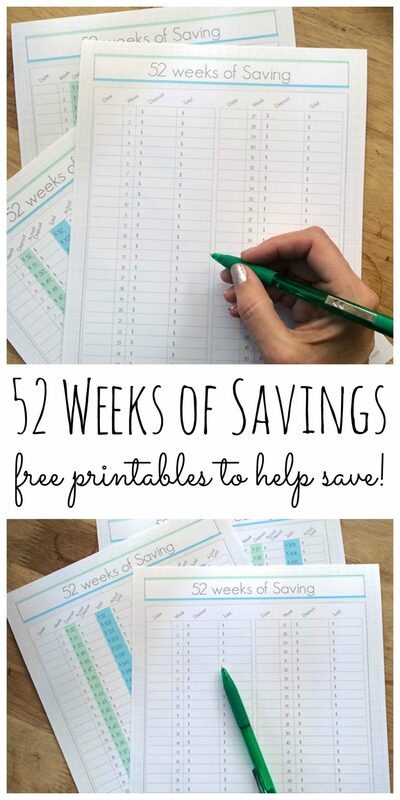 These 52 weeks of savings printables will start your new year off right. Jen Goode from 100 Directions is back this month with a fun way to save in the new year! Start today and by then end of the year your bank account will be a little fatter! The first of the year we start thinking about what we want to work on, improve or change all together. Saving more money is always on my list. So, a couple years ago when a friend of mine asked if I’d help her with a money saving printable sheet, of course I was all in. Now, I have an updated version of this same great printable for you to use too! The 52 Weeks of Savings is a great method for saving a little more money that can make a bit impact by the end of the year. There’s two different methods, but the theory is the same… put a little money away each week and increase or decrease the money you save as the year goes on. Because I travel so much at the beginning of the year, I opt for the start small and increase. However, I think it’s easier to start saving with larger amounts with the goal of decreasing the required deposits. Then, near the end of the year, as you’re trying gather extra cash for the holidays, you aren’t also trying to find money to stash away. You pick which method works best for you. You can read more about this weekly savings challenge over at Pocket Your Dollars. This printable money saving kit also includes a blank savings tracker sheet so you can simply log any money you save, however you’d like. 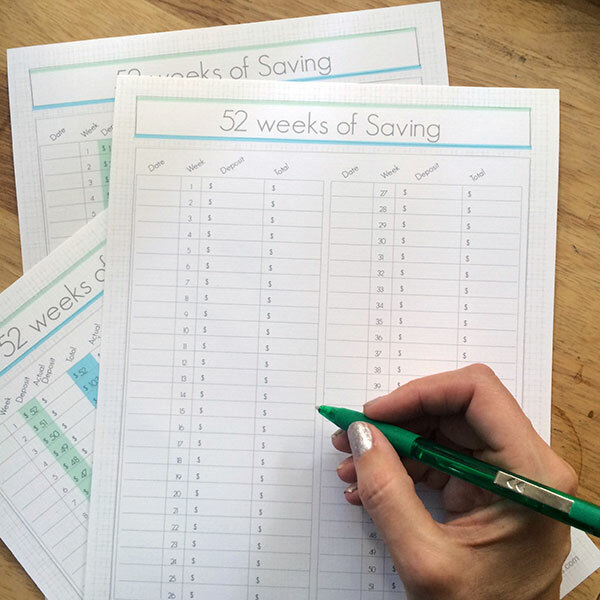 Head over to my blog to take a look at all the printable savings sheet options. What saving’s tips do you have? 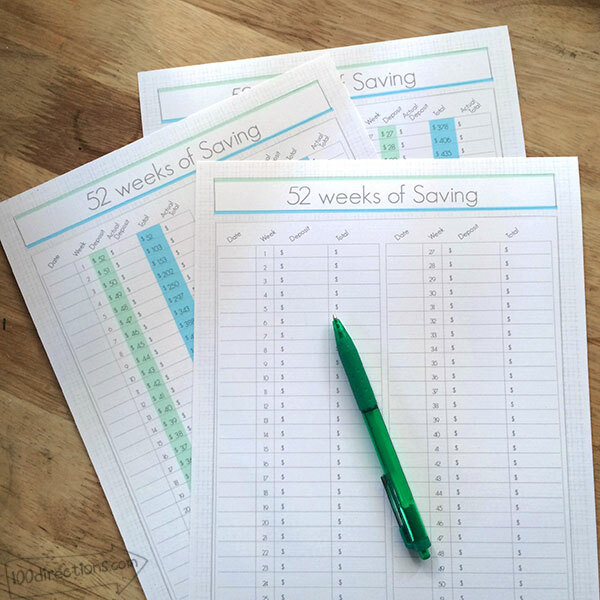 Enjoy these 52 weeks of savings sheets and happy savings! 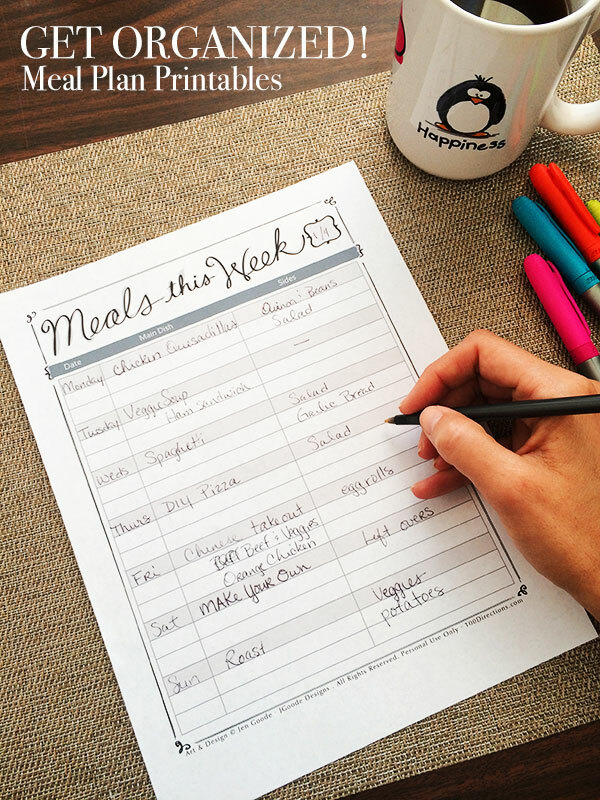 If you love this and are trying to get organized in the new year, you might also click here and print our free printable meal plan. Nice printables & so helpful.Thanks for sharing at the party. Pinned & shared. Love this! Our family does an annual savings goal and having something visible helps to keep us accountable and on track. Great print out! Thanks for sharing. Just pinned and printed! Anything to encourage us to save is a great asset. Thank you for creating these and sharing them!